Team Zopherus of Rogers, Arkansas, is the first-place winner in NASA’s 3D-Printed Habitat Challenge, Phase 3: Level 1 competition. NASA is soliciting expert designs for a potential manned mission to Mars — and beyond. 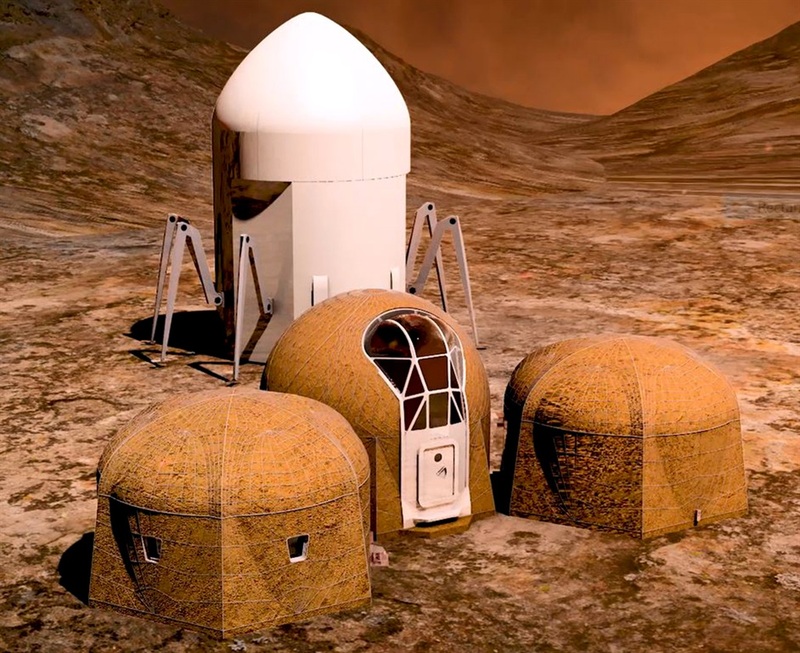 As part of the space agency's Centennial Challenge, teams of designers, engineers, and architects from across the US submitted designs for an astronaut habitat that could be 3D-printed and deployed to far-flung destinations like the Red Planet or the moon. The finalists of the third phase of the competition were selected earlier this month by a number of panellists from NASA, academia, and private space companies. 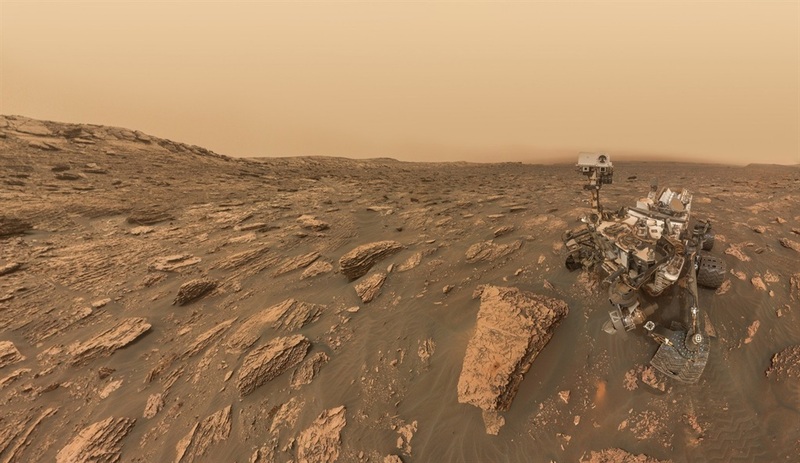 Creating a reliable, user-friendly life support system will be critical for any successful manned missions to Mars, NASA said in the announcement. In phase three, the teams had to design miniature versions of their proposed extraterrestrial habitats — one-third the size of the real thing — as well as a virtual rendering of the habitat as well as all the life-support systems the habitat will contain. As part of the competition, the judges wanted to see an emphasis on "indigenous" building materials or the things that astronauts and rovers may find on the moon or Mars itself. 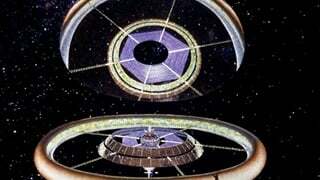 "They are not just designing structures, they are designing habitats that will allow our space explorers to live and work on other planets," Monsi Roman, the programme manager for NASA’s Centennial Challenge said. "We are excited to see their designs come to life as the competition moves forward." The five teams each split the $100,000 pot, with the most money going towards the top two finishers. Team Zopherus' winning design proposes using 3D printing rovers that, in advance of the manned mission, will land on the Martian surface and 3D-print the habitat using the materials available on the planet's surface. The modular pods will be printed from a substance the team calls "Martian concrete," which is composed of ice, rocks, and soil found on Mars' surface. Team AI built their habitat — nicknamed MARSHA — based on the calculation that a cylindrical habitat would be the most effective for maximising usable floor area and volume. Cylinders are also highly effective pressure vessels — meaning it will take less energy to keep the atmosphere in the habitat similar to our planet's. 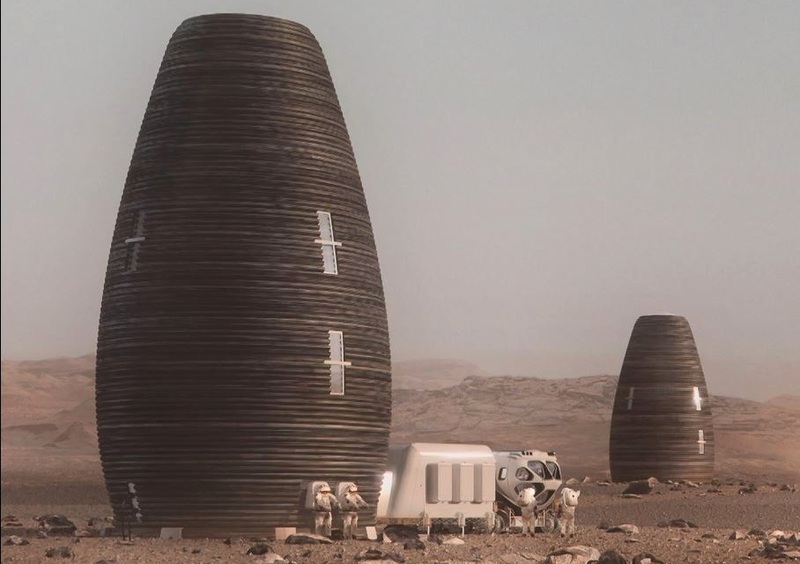 The habitat is designed to be 3D printed on Mars' surface. Team Kahn-Yates' third-place design proposes to use the lander as the basis for its habitat. After the lander touches down on the Martian surface, a 3D printer constructs the working and living quarters around the lander. The habitat is designed to withstand intense Martian dust storms, like the one that marooned Matt Damon's character on the planet in The Martian. SEArch+/Apis Cor's fourth-place proposal is designed to maximise radiation protection for the explorers, astronauts, and scientists who may call the habitat home in the thin Martian atmosphere. The design uses regolith — the layer of dust and loose rocks that covers a planet's crust — as construction material, and is inspired by architecture on Earth. 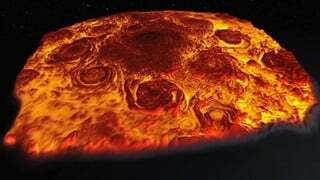 Mars is an inhospitable place. Team Northwestern's fifth-place winning design proposes a modular set of parabolic domes that can be connected via a central building. The habitats are designed to maximise space for conducting research and launching expeditions.